Kids Cre8ive Care is a family oriented, flexible and affordable daycare center where we treat your child as one of our own. We are located in Warminster, PA in the heart of Bucks County. Exceptional care is provided by our high qualified and experienced staff. Every staff member is friendly, fun and upbeat creating a warm, loving atmosphere. Our teachers are CPR and First Aid Certified and are required to have FBI finger printing, child abuse, and criminal background clearances as well as an annual physical. Our facility is safe and fully equipped to provide a safe and fun environment for your child. We are licensed in the state of Pennsylvania and with the Department of Public welfare to meet all health and safety guidelines. 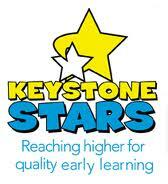 We have earned our first star from KeyStone Stars and are currently working towards our second star. At Kids Cre8ive Care your child is always safe, active, and learning new things each and every day. Kids Cre8ive Care is conveniently opened from 6:30 a.m. – 6:00 p.m. with the option of full-time or part-time care. We accept children ages 6 weeks to 5 years of age. A healthy morning and afternoon snack is provided. Every month a different educational program visits the center such as pony rides and magicians. Our excellent curriculum will ensure your child is prepared emotionally, physically, socially, and educationally for their early school years. Each day is filled with fun activities and crafts to keep your child active and learning. There is never a dull moment at Kids Cre8ive Care!